CCC's Final Fantasy Crystal Chronicles: The Crystal Bearers Launch Site: Reviews, Previews, Cheats, Videos, Screenshots, and more! Don't miss this new take in the Final Fantasy Crystal Chronicles franchise that takes place 1,000 years after the original game. Guide Layle, one of the few remaining magic users, through a world full of dangers and pure adventure. Enjoy a new chapter of the series that takes place a thousand years after the events of the original Final Fantasy Crystal Chronicles, where technology has advanced to its peak and magic is considered taboo. Encounter the first FINAL FANTASY game developed exclusively for Wii, complete with motion-driven gameplay and intuitive controls that are accessible for gamers of all levels. 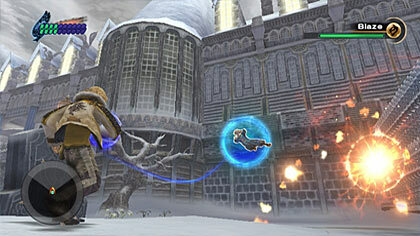 Enjoy a variety of actions including flying and third-person shooter style gameplay. Step into the hero�s shoes and experience the action first-hand! Control Layle�s crystal bearer powers to battle adversaries, navigate through obstacles and move objects at will in a highly interactive environment. Traverse the terrain, swing from high places or take a swim in a world in which all areas are open for exploration. With an extra remote, friends and family can jump in to assist the player in times of need in special areas of the game. Ready to get the most out of Final Fantasy Crystal Chronicles: The Crystal Bearers? Don't forget to check out our cheats section, where you'll find cheats, tricks, hints, and everything you need to know about secrets and unlockables included in the game. Keep checking back for more!